The January programmes for both adults & kids and teens will be starting w/c 5th with the adults on a Monday, Wednesday & Friday and the Kids on a Friday only. 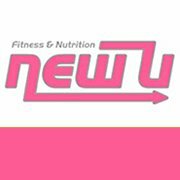 As usual, the pressure will be on to get back to/or start a fitness regime – so why not book one of the remaining places with the New U team. The programme lasts for 4 weeks and operates 3 x per week to help you achieve the best results possible, for the best possible version of you! We focus on every aspect of fitness and strength to allow your body to adapt. The programme changes every week to keep your muscles guessing and cardiovascular system challenged. The programme can be as challenging as you want to make it, as everyone is expected to work to the best of their own ability. The age of members ranges from young adults through to 70yr olds with there being a level for everyone. We are a very friendly and encouraging group, with new members made very welcome. nutritional side of the programme and already have a wealth of knowledge compared to the day they started. As with the adults, there are a variety of different levels of fitness, from budding tennis and football players through to kids that up until now haven’t participated in this kind of activity. Posted in All News, Club News, Fitness Tips.